Born in Florida, Tori lived in Georgia and Texas before moving to Ohio in 2005. 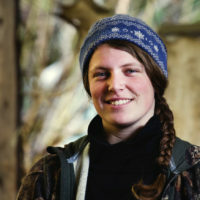 She is an impassioned birder who loves photography and learning about and protecting the environment. Tori struggles with scoliosis but works hard to not let this define who she is or what she can do. She loves to laugh and has a delightful way of viewing the world. After the Caretaker Program, Tori looks forward to studying Wildlife Resource Management at Hocking College in Ohio. Emma is the first generation of Danish immigrants who settled just outside Portland, Oregon where she grew up. She is a multi-talented artist and an equestrian enthusiast. 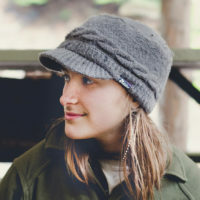 She strives to broaden her friends’ and family’s perspectives of what is possible as she lives her “truth” for the next year in the Oregon wilderness. While Emma is rather an introverted and deep thinker, when she smiles, she lights up the room. Emma plans to attend college once she reintegrates into the “real” world. 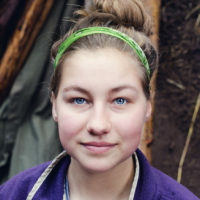 Thea had great adventures growing up outside Nederland, Colorado, where she was home-schooled by a family steeped in “back to nature” ethics. She is a practicing Kung Fu yellow-belt yet loves fancy shoes. 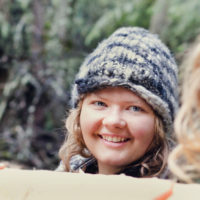 Thea hopes to cultivate her Caretaker experience and newfound friendships with the other four women to overcome her innate shyness. Thea decided the best way to record her experience is on an old Smith-Corona manual typewriter, so it’s not uncommon to find her typing by candlelight. 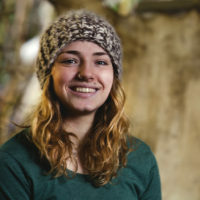 Hannah, an ardent fisher-woman from Truckee, California, enjoys her time alone in the outdoors and is looking for the balance between her love of nature and society’s demands. During the coming year, Hannah would like to work on not exhausting herself trying to impress or take care of other people. Making herself a priority; she is on a path of exploring where her next adventure will take her. Maddee is an outgoing 18-year-old from Powell, Ohio, who has been practicing these skills for over 5 years. She works hard but sometimes feels the physical challenges of living on the land. When Maddee is determined and decisive, often finding herself in leadership positions. Maddee loves to laugh and be silly as well.